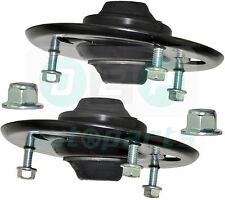 GENUINE MG ZT ROVER 75 REAR UPPER ARM SUSPENSION BUSH X2 RGX101110 OFFER PRICE! 94 und Discovery 1 Bj. 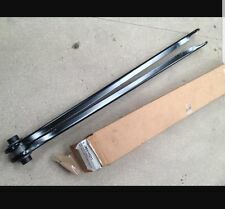 92-98, Land Rover Part No. zu Vergleichszwecken FTC5414. Lubricate inside and outside of new poly bushing with multi-purpose grease. Installation - Once removal of original bushings has taken place, installation of the new polyurethane bush typically takes from 1 - 5 minutes to install, the techs love it! Part Number: DC7100. Polyurethane Bush kit. Suitable for all Discovery 1 200/300Tdi, V8 & MPI models. LandRover Discovery 1 Black. Maunfactured using the latest in Vulkollan Polyurethane Technology. Defender –All models to VIN 9A768936. PARTS >> ACCESSORIES >> DEFENDER SERIES DISCOVERY 1 1989 to 1998 DISCOVERY 2 1999 to 2003 DISCOVERY 3 2005 to 2009 DISCOVERY 4 2010 to 2016 DISCOVERY SPORT 2015 on FREELANDER 1 1996 to 2006 FREELANDER 2 2006 to 2014 RANGE ROVER CLASSIC RANGE ROVER P38 RANGE ROVER L322 2002 to 2012 RANGE ROVER L405 2013 on RANGE ROVER SPORT RANGE ROVER EVOQUE UPGRADES >> TOOLS,OILS AND OTHER DIY >> Books Manuals and Gifts. 2 X RGX100970. LAND ROVER DISCOVERY 2 TD5 OR V8. WILL FIT ALL. Equivalent to Land Rover ANR2563 (used for reference only). Range Rover P38 – All model years. PARTS >> ACCESSORIES >> DEFENDER SERIES DISCOVERY 1 1989 to 1998 DISCOVERY 2 1999 to 2003 DISCOVERY 3 2005 to 2009 DISCOVERY 4 2010 to 2016 DISCOVERY SPORT 2015 on FREELANDER 1 1996 to 2006 FREELANDER 2 2006 to 2014 RANGE ROVER CLASSIC RANGE ROVER P38 RANGE ROVER L322 2002 to 2012 RANGE ROVER L405 2013 on RANGE ROVER SPORT RANGE ROVER EVOQUE UPGRADES >> TOOLS,OILS AND OTHER DIY >> Books Manuals and Gifts. 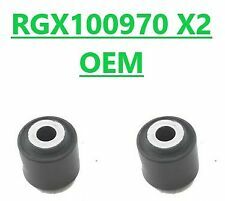 OEM Part Numbers : RNX100080, RNX 100080. MG MG ZT 160. MG MG ZT 2.0 CDTI. MG MG ZT 1.8 16V. MG MG ZT 1.8 T 16V. MG MG ZT 180. MG MG ZT- T 160. MG MG ZT- T 190. These are suitable for all Land Rover Discovery 2 models from approx 1998 through to 2004. Add to Favourites. Part Number: DC7000. Land Rover Discovery 300Tdi. Polyurethane Bush kit. Maunfactured using the latest in Vulkollan Polyurethane Technology. FREE CARRIAGE APPLIES TO MAINLAND UK ONLY. Pictures are for reference only and specifications may alter without notice. 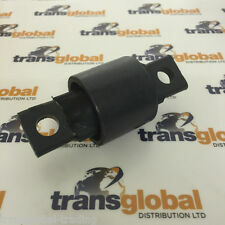 Land Rover part number for reference: NTC9027 also supersedes NRC7491. Wheel Nuts Hi lift jacks & Acc. Tyres Safari Snorkes Defender Parts Discovery Parts Range Rover Parts Wheels Tools Gift Ideas Series Discovery 1 89-93 Discovery 1 94-98 Discovery 2 99-04 Range Rover Classic Range Rover P38 Range Rover l322 Freelander Discovery 3 Defender 90 & 110. Polyurethane Bush Kit. 1x Front radius arm to axle bush set. 1x Front radius arm to chassis bush set. 1x Panhard rod bush set. 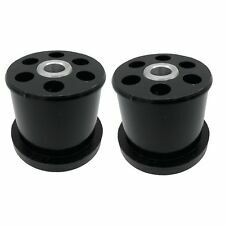 1x Rear lower link to axle bush set. 1x Rear lower link to chassis bush set. Equivalent to Land Rover ANR3332 (used for reference only). Range Rover P38 – All model years. PARTS >> ACCESSORIES >> DEFENDER SERIES DISCOVERY 1 1989 to 1998 DISCOVERY 2 1999 to 2003 DISCOVERY 3 2005 to 2009 DISCOVERY 4 2010 to 2016 DISCOVERY SPORT 2015 on FREELANDER 1 1996 to 2006 FREELANDER 2 2006 to 2014 RANGE ROVER CLASSIC RANGE ROVER P38 RANGE ROVER L322 2002 to 2012 RANGE ROVER L405 2013 on RANGE ROVER SPORT RANGE ROVER EVOQUE UPGRADES >> TOOLS,OILS AND OTHER DIY >> Books Manuals and Gifts. 2x Radlager der Hinterachse links rechts. Wir prüfen die Richtigkeit und schicken das passende Ersatzteil. Querlenker/ Traggelenke/ Lager. Querlenker Querstrebe Ford Focus Focus II C-Max Kuga I Hi. Perish and wear causing clunking and poor handling. These are a common MOT failure as the bushes can. 2x Front Anti Roll Bar 'D' Bushes. 2x Rear Anti Roll Bar 'D' Bushes. 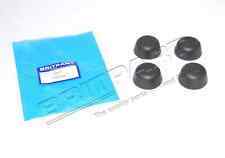 Land Rover Front and Rear Anti Roll Bar Bush Set. LAND ROVER DISCOVERY 1 YELLOW POLYURETHANE SUSPENSION BUSH SET Kit contains: 1x Front radius arm to axle bush set 1x Front radius arm to chassis bush set 1x Panhard rod bush set 1x Front Anti-Roll bar bush set 1x Rear lower link arm to axle bush set 1x Rear lower link arm to chassis bush set 1x Rear upper link mounting bush set 1x Rear Anti-Roll bar bush set 1x Shock absorber bush set 3x Shock absorber bush set 3x Shock absorber bush set 1x Shock absorber bush set Manufactured using the latest Vulkollan polyurethane technology They offer improved articulation, vibration damping and last longer. Machined to exact tolerances once cast to produce the highest finish available. Bushes are the same compound which gives similar ride characteristics to the standard . Rover P6 & P6B. Rover P6 / P6B. All models 1966 - 1976. Rover 2000, 2000tc, 2200, 2200tc, 3500, 3500S. Equivalent to part number RBX101340, ANR3671. 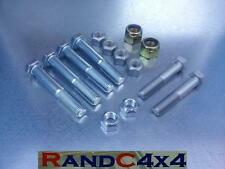 Panhard Rod Bushes. Range Rover P38, All models. Defender 90, Defender 110, All models from (VIN) 2A626646. Discovery 2 L318, All models. Independent Land Rover Specialists. 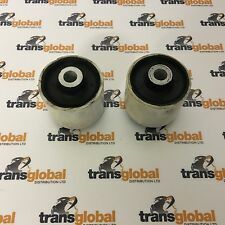 MG ZT / R75 REAR SUSPENSION ARM BUSH. 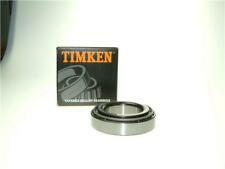 SUITABLE FOR THE MG ZT AND R75 MODELS. GENUINE MG ROVER PRODUCT. THIS ITEM IS A GENUINE BOXED MG ROVER ITEM SO QUALITY IS ASSURED. We have hundreds NEW, USED AND REFURBISHED parts ready for dispatch. RANGE ROVER P38 BLACK POLYURETHANE SUSPENSION BUSH SET Kit contains: 1x Front Radius arm to axle bush set 1x Front Radius arm to chassis bush set 2x Front Panhard rod bush set 1x Front Anti-Roll bar bush set 1x Rear Trailing arm to chassis bush set **EXCLUDES SHOCK ABSORBER BUSHES** Manufactured using the latest Vulkollan polyurethane technology They offer improved articulation, vibration damping and last longer. Machined to exact tolerances once cast to produce the highest finish available. Bushes are the same compound which gives similar ride characteristics to the standard rubber bushes, but they offer improved articulation, vibration damping and last longer. Black bushes are ideal for replacing individual bushes as they can be fitted without a press.PART . RANGE ROVER CLASSIC 3.5 V8 ; YEARS 1970-DEC.1986. This kit isNEW and boxed and includes . LAND ROVER FREELANDER 1 YELLOW POLYURETHANE SUSPENSION BUSH SET Kit contains: 1x Front Anti-roll bar bush set 1x Front Lower radius Arm bush set 1x Front Lower Radius Arm bush set 1x Front Lower arm control buffer (Washer) set 1x Rear Trailing link to chassis bush set 1x Rear Trailing link to hub carrier bush set 1x Rear Lower link outer bush set 1x Rear Lower link inner bush set Manufactured using the latest Vulkollan polyurethane technology They offer improved articulation, vibration damping and last longer. Machined to exact tolerances once cast to produce the highest finish available. Bushes are the same compound which gives similar ride characteristics to the standard rubber bushes, but they offer improved articulation, vibration damping and last longer.PART . Kit comprises of 4 bushes and 4 stainless sleeves. 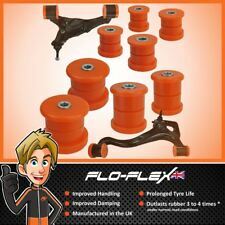 POLYFLEX UK are the ultimate in polyurethane bush kits for the classic mini, made from top quality injection moulded material available in Bright Orange or Classic Black and are unaffected by oils and grease. OEM: RNX100080 / RNX100081 / RBC100130. Rover 75 / MG ZT All models. Strut top mount bearings commonly fail on the 75 and ZT. Genuine Strut Top Mount Bearing Isolator. This item includes the bearing, strut mount assembly and isolator. Part Number: DC7105. Polyurethane Bush Kit. 1x Front radius arm to axle bush set. 1x Front radius arm to chassis bush set. 1x Panhard rod bush set. 1x Rear lower link to axle bush set. 1x Rear lower link to chassis bush set. We will do all we can to help you identify the correct part if you ask us. All parts are tested where possible. Unless otherwise stated the item in the picture is the one you will receive. WHEELS AND TYRES. 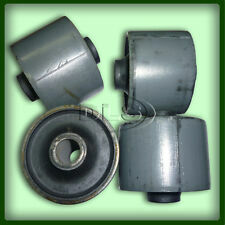 Landrover Freelander 1 Rear Trailing Arm Bushes. Trailing Arm Bushes- Chassis and Axle End. 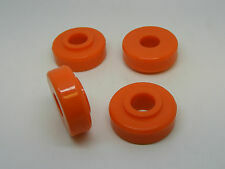 4x Polyurethane Bushes. Suspension bushes are manufactured to a hardness of approx 80 shore A. Flo-Flex Poly Bushes. Technische Informationen Radlagersatz: Felge: 4. Einschränkungen siehe Fahrzeugtabelle. ALS FAVORIT SPEICHERN. LAND ROVER 90/110 2.3 4x4 10 H 01/1984 - 08/1987 2286 71 52. LAND ROVER 90/110 2.3 D 4x4 10 J 06/1984 - 08/1987 2286 63 46. 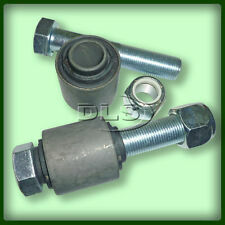 LAND ROVER 90/110 2,5 17 H 09/1985 - 07/1990 2494 84 62. LAND ROVER 90/110 2.5 4x4 17 H 10/1985 - 07/1990 2495 83 61. Part Number: DC7001. Polyurethane Bush Kit. Land Rover Discovery 2 Td5/V8. This kit does not fit ACE models. Maunfactured using the latest in Vulkollan Polyurethane Technology. FREE CARRIAGE APPLIES TO MAINLAND UK ONLY. This kit is suitable for all Range Rover L322 models. Add to Favourites. RBX101810 LHS Bush & Housing. Part Number: RBX101810. Freelander 1 New Front LHS Lower Wishbone Housing & Bush. Land Rover Freelander 1, (2001-2006). Freelander Parts. Front Passenger Side, LHS, (N/S). Equivalent to Land Rover RGX000060 (used for reference only). Range Rover L322 – 2002 to 2009 model year. Range Rover L322 – 2010 to 2012 model year. PARTS >> ACCESSORIES >> DEFENDER SERIES DISCOVERY 1 1989 to 1998 DISCOVERY 2 1999 to 2003 DISCOVERY 3 2005 to 2009 DISCOVERY 4 2010 to 2016 DISCOVERY SPORT 2015 on FREELANDER 1 1996 to 2006 FREELANDER 2 2006 to 2014 RANGE ROVER CLASSIC RANGE ROVER P38 RANGE ROVER L322 2002 to 2012 RANGE ROVER L405 2013 on RANGE ROVER SPORT RANGE ROVER EVOQUE UPGRADES >> TOOLS,OILS AND OTHER DIY >> Books Manuals and Gifts. Range Rover P38. Naranja Polybush Kit 23. Kit de marca nueva caja y embalaje originales. Polybush Full Kit 23 for Range Rover P38 Second Generation. Impressive and Confident Ride. Reduced Body Roll. Sharper Turn in - Predictable Cornering. 12x Polyurethane Bushes. Includes rear trailing arm bushes (chassis to axle). Rear Lower Link Rod Bushes. Suspension bushes are manufactured to a hardness of approx 80 shore A. Flo-Flex Poly Bushes. Floflex Polyurathane Bushes are designed for all conditions and uses.